Although the Do-It-Yourself (DIY) trend in home improvements is all the rage these days, there is one area of home improvement that is best left to a professional: electrical repairs, upgrades and installations. In these cases, it is always safest to call on a residential electrician. Anywhere from 4000-6000 people are injured every year in electrical accidents around the home, a good number of whom are hurt during electrical DIY repair attempts. Considering that nearly $1.4 billion dollars in damage also results from electrical fires and accidents in the home, it is no wonder that many homeowners’ insurance policies, local laws and neighborhood associations also require people to get assistance from residential electricians whenever electrical repairs are needed. It is also very common that DIYers pay twice for a job; the first being whatever they purchased and the time spent on the DIY project and the second is when they sell their home and the home inspector uncovers their work. This may seem like a simple job, but if not done correctly, it can lead to fires and injuries, so always call on a residential electrician. Whenever a light switch crackles or the lights flicker when you try to turn them on, it may be time to have them replaced for safety reasons. Outlets that spark, can’t hold a plug, or lose power frequently when appliances are plugged into them also need to be replaced. If your home has any old two-pronged outlets, call our residential electricians for an appointment to have them replaced with TR or GCFI outlets. National building codes require these new, safer 3-pronged outlets in all new constructions and encourage replacements in older homes as well. Hired Mr. Root to install a ceiling fan, bathroom vanity light and several lighting fixtures. Two electricians performed the work flawlessly. 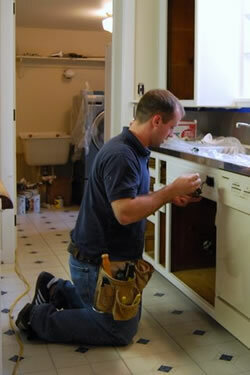 They were top-notch – two of the best workmen I have had in my house. Courteous and professional!! Very nice job!! I will definitely use Root Electrical in the future. Again, installing a light fixture may seem like a simple job, but unless you are just changing the light bulb, the wiring behind the fixture can be complex. This is especially true in older houses where aluminum wiring might be a problem. When the internal wiring is out-dated, installing a new light fixture can cause fire hazards and possible injuries, so always call a residential electrician for these jobs. Recessed lighting and outdoor security lighting are also jobs that require an electrician. Like light fixture installation, ceiling fan installation can be tricky and should always be done by a professional residential electrician. The wiring in the ceiling has to be carefully checked, especially in older homes, as well as the wiring behind the connecting wall switches. The ceiling box must be rated for ceiling-fan use for safety. Sometimes structural issues also have to be taken into account, so these are both jobs that are best left to the experts. Naturally, there are a lot of big electrical jobs around the house that absolutely require an experienced electrician too. Electrical panel upgrades, or electrical sub panel installations, complete electrical service upgrades for older homes, aluminum wiring replacement and whole house surge protection are extremely complicated jobs that usually require a team of master residential electricians. Please call us at 703-494-3989 whenever you have an electrical job that needs to be done in your home, whether it’s a big or a small project. The important thing is keeping you, your loved ones and your home safe!